Valentine's Day isn't a day for holding back, whether in expressing your love or indulging your sweetheart with scrumptious sweets. Give the classic red velvet cake a tasty new spin with this divine cheesecake. Smooth and creamy, every bite is heavenly! Lightly grease the bottom and sides of a 9-inch-diameter round pan. In a large bowl, mix together the crushed cookies and the butter. Then, using a spatula, spread the mixture on the bottom and sides of the pan. Bake crust at 325 degrees for 8-10 minutes, then remove and let cool. Meanwhile, add the cream cheese and sugar to a large bowl. Mix with the Oster® 5 Speed Hand Mixer on medium speed until combined and smooth. Mix in the eggs, one at a time, followed by the sour cream and heavy cream. Next, add red food coloring, one drop at a time, until deep red color is achieved. Spread cheesecake filling into the pan, flattening on top into an even layer. Bake at 300 degrees for 1 hour and 45 minutes. Remove from heat and let set for 30-40 minutes, then store in the refrigerator to chill. Once chilled, frost cheesecake and serve. 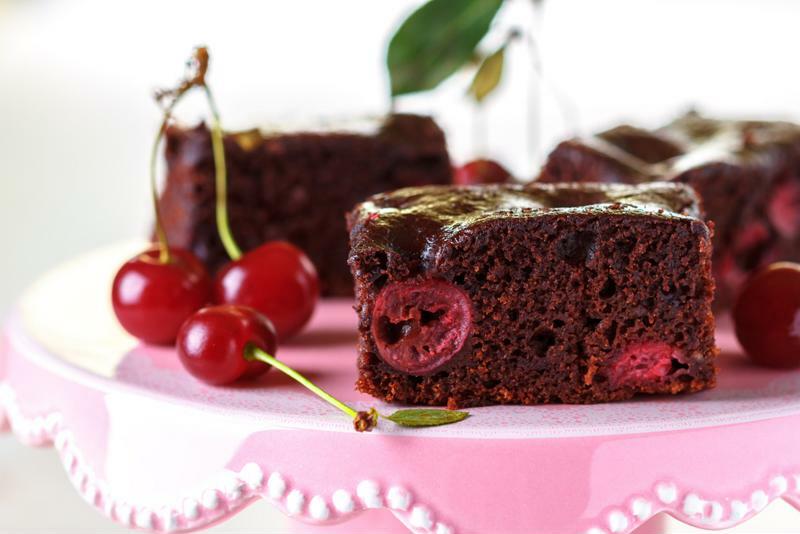 Delight your sweetheart with Chocolate-Cherry Brownies. Chocolate and cherry are two flavors that are just meant to be together. Combined, they're elegant, sophisticated and romantic - and completely indulgent in the form of rich, fudgey brownies! Lightly grease a 13-by-9-inch pan. Add the flour, sugar, cocoa powder and baking powder to a large bowl and stir. Add the eggs, and mix into the dry ingredients using the Oster® 5 Speed Hand Mixer on medium speed. Gradually add the oil. Add the chocolate chips to the batter, folding in with a spatula. Then, pour the batter into the prepared pan. Using a spoon, loosely mix the cherry jam into the batter. Bake at 350 degrees for 25-30 minutes, or until a toothpick inserted into the center of the brownies comes out clean. 10 minutes before the baking time is up, sprinkle the cherries onto the brownies and drizzle with chocolate sauce, then return to oven. Let brownies cool before serving. Try a new twist on a classic Valentine's Day treat with Chocolate-Covered Strawberry Cupcakes. 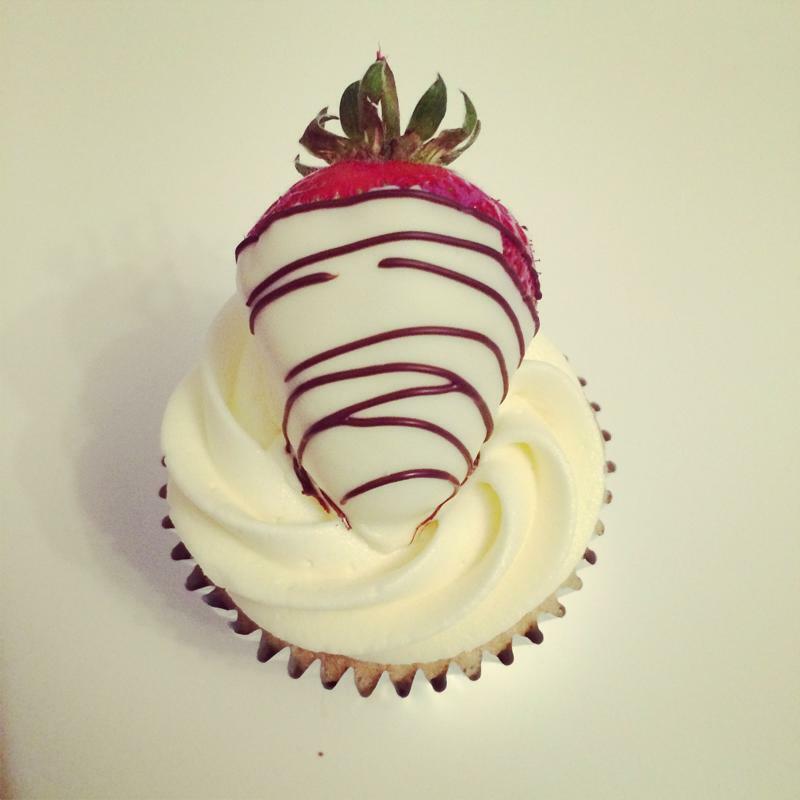 Chocolate-covered strawberries are a Valentine's Day staple, but they're even more delectable when they adorn cupcakes. Place paper liners in a cupcake tin. Add the flour, baking soda, sugar, salt and cocoa powder to a large bowl. Gradually begin mixing in the wet ingredients with the Oster® 5 Speed Hand Mixer on medium speed, starting with the vegetable oil. Pour batter evenly into each cup of the cupcake tin, filling liner 3/4 of the way full. Bake at 350 degrees for 15-20 minutes until a toothpick inserted into the center of a cupcake comes out clean. Remove from oven and set on wire rack to let cool. Once fully cooled, transfer frosting into a large clear plastic bag and cut a small 1/4-inch piece off one corner. Swirl the frosting on top of the cupcake. Melt the white chocolate chips, then dip each strawberry in the melted chocolate. Let the strawberries cool until they have hardened. Place one strawberry on top of each cupcake and enjoy. Pink champagne is the bubbly preferred by screen sirens and star-crossed lovers, and it takes on a glamorous new form in this pretty-as-a-picture cake. Top with edible gold glitter for extra sparkle. Lightly grease two 8-inch cake pans. In a large bowl, combine the flour, baking powder, sugar and salt. Add the milk, mixing with the Oster® 5 Speed Hand Mixer at medium speed. Gradually add the vegetable oil, champagne, egg whites, vanilla and 1 drop of red food coloring (you want the batter to be a very pale pink), mixing until smooth. Then, mix in the butter until the batter reaches a creamy consistency. Divide the batter into the two prepared pans, then bake at 350 degrees for 28-30 minutes, or until a toothpick inserted into the center of the cake comes out clean. Once cake is done baking, let cool on a wire rack. Meanwhile, mix the confectioner's sugar, granulated sugar, champagne, butter and vanilla in a large bowl with the Oster® 5 Speed Hand Mixer at medium speed, until smooth. Add 1 drop of red food coloring to turn the frosting a light pink color. Once cool, frost the tops of both cakes, then place one on top of the other and frost the sides. Sprinkle with edible gold glitter and enjoy.